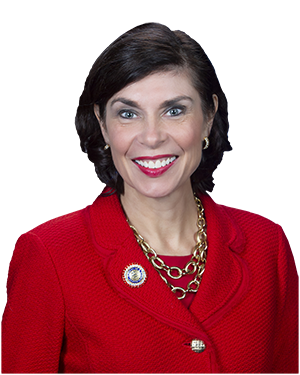 HARRISBURG – Senator Kristin Phillips-Hill (R-York) announced she will be serving on six committees for the 2019-20 legislative session. Phillips-Hill will serve as a member of the Senate Appropriations Committee, which determines the fiscal impact of all bills and plays a key role in crafting the final state budget. She will serve as the Vice Chair of the Senate State Government Committee. She will also serve as a member of the Senate Aging and Youth Committee, the Senate Banking and Insurance Committee, the Senate Communications and Technology Committee and the Senate Intergovernmental Operations Committee. “I am grateful for the opportunity to play a role in the vital issues that shape our state government through my roles on these committees,” she added. More information on Senator Phillips-Hill can be found at www.SenatorKristin.com. Residents can also follow Senator Phillips-Hill on Facebook at www.facebook.com/SenatorKristin, Twitter @SenatorKristin and Instagram @SenatorKristin.